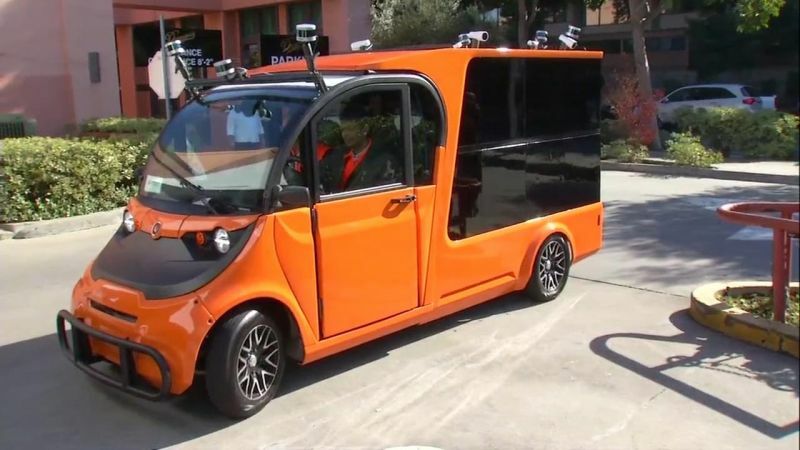 If you live in San Francisco Bay Area, you may have seen some orange, self-driving vehicles delivering grocery just around the corner. That’s the pilot project of a Californian start-up, leveraging the Internet of Things, electric and autonomous vehicles and a mobile app to launch a user-friendly home delivery service. Although not completely unmanned (current regulation requires an operator to sit behind the wheel and take control in emergency), it promises to halve the time and money requested for last-mile deliveries, making them faster and cheaper for customers. Self-driving vehicles for home deliveries are being tested in California, Arizona and other US states. According to a 2018 study by the Food Marketing Institute and Nielsen, up to 70% of American consumers will regularly purchase their groceries online in five to seven years, and they will be asking for more than today’s pickup and delivery services. This might turn into an opportunity for City managers: why not sharing the urban network infrastructure with local businesses to design innovative services for citizens and visitors? From home delivery to infotainment, from proximity marketing to video-based applications, Cities with a pervasive Wireless IoT network could inaugurate promising public-private partnerships, resulting in value-added services for urban life, also boosting economic growth. To enable such projects, a narrowband, single-purpose network will definitely be inadequate. If a Smart City wants to thing big, and invest on sustainable future-proof technologies, a natively multiapplication infrastructure should be preferred, supporting both Wireless IoT and Wireless Highspeed IoT to connect and manage any kind of urban object – at the cost of most narrowband IoT solutions only. Where to find such a urban platform? Have a look at our PE Smart Urban Network to learn more about our vision and proposal.